Before you start using Squarecap with your students, you will want to choose your grade upload settings. Teachers who are using a Canvas LMS that is connected to Squarecap can upload data from Squarecap automatically after each session, or do it manually at any time. These grades are instantly available at the end of every session withing Squarecap and are accessible in Canvas within 10-15 minutes depending on how busy the Canvas servers are at the time. All teachers, including those at non-Canvas schools, can download scores any time to a .csv file using these instructions. If you are teaching at a Canvas school that is not yet fully connected to Squarecap, please email us at help@squarecap.com to get this process started. Log-in to your Squarecap account and click your name on the top right of the dashboard. Select "Grade Upload Settings." Squarecap will assign full credit to students who connect to the session and enter all join codes, regardless of whether they get the questions correct or incorrect. When grading by attendance, the students' score will be recorded as a zero if they are suspected and unverified. This option is best for professors who are most interested in taking attendance and are not wanting to assign credit based on answer choices. Squarecap will calculate grades based on how many points a student received for each question. You will have the option to set both Participation and Correctness credit for each question. If a correct answer choice has not been assigned to a question, students will receive full credit for any choice. Squarecap will upload a grade for each session attended by the student, and an incomplete for sessions that they did not attend. If you have enabled the "Mark unverified students suspected as absent" feature, then a student who is counted as absent will receive a zero as his/her grade. Squarecap will take each student’s average across all sessions, and save that average as a single grade for that student in Canvas. If left unchecked, you can manually upload each individual session or all sessions at the same time. If left unchecked, all grades will be uploaded as decimals. Once a session is completed, the grades are available to be uploaded to Canvas. The grade upload speed is dependent on how busy the Canvas servers are at that time and usually takes between 1-15 minutes. 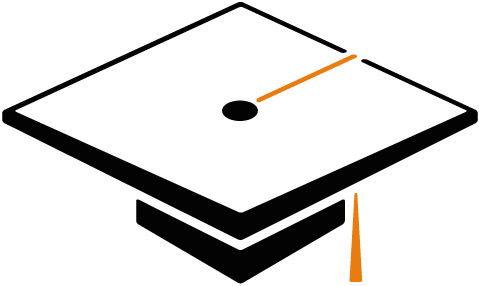 Once grades have been uploaded to Canvas, an icon will appear next to the session to indicate that it has been uploaded. In Canvas, the grades from Squarecap are uploaded to an assignment group called “Squarecap Sessions” that is automatically created for you. The grades appear in one column corresponding to the sessions name. If something is not clear, feel free to send any questions to help@squarecap.com. You can also schedule a time with an expert if you would like additional help with this setup.